As the vampires encroach upon the temple, you will need the appropriate weapon to fend them off. 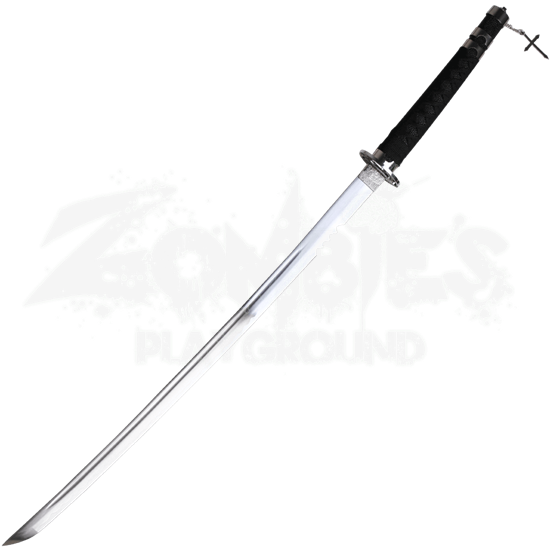 Decorated with the sacred cross, the Holy Guardian Samurai Sword will do admirably as you vanquish your undead foes. 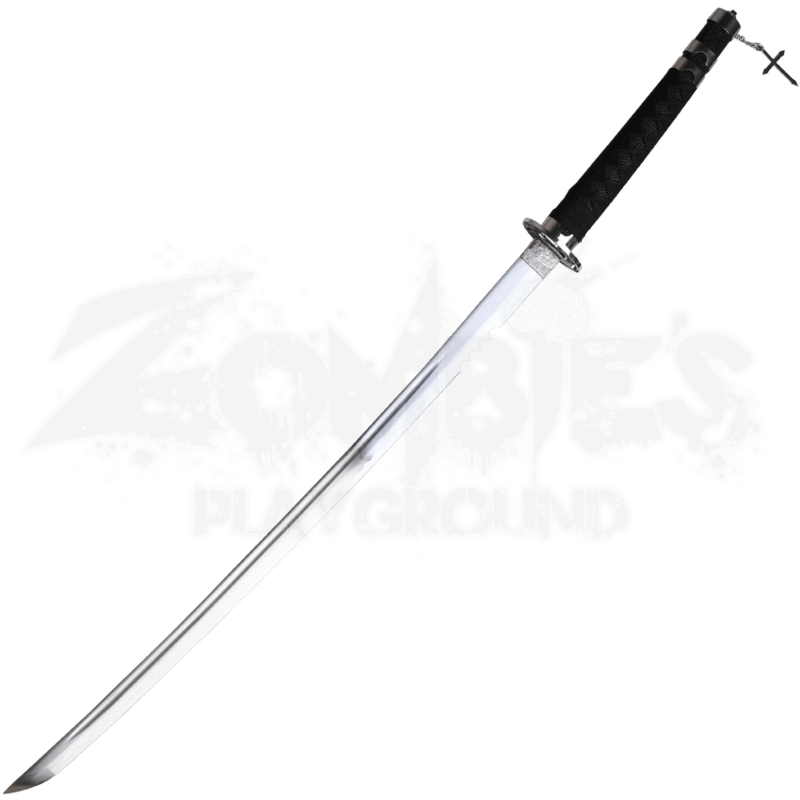 This oriental sword is crafted from fine carbon steel polished to a mirror shine, perfect for wielding a slayer weapon. Several notches add detail to the decorative katana blade. Black cord wraps the handle, providing a comfortable grip. A cross ornament dangles off the end of the handle. This vampire hunter sword comes with a complementary scabbard that looks great on display when not in use.